Custom Built Two Story with Full Finished Basement, Wrap around Porch, oversized 3 car attached garage, rear deck on corner lot. 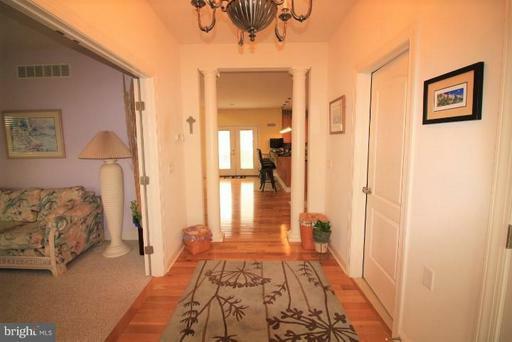 Entering the Foyer you see on your left a formal living. The large but warm and welcoming gourmet kitchen is open to the family room which includes lots of windows and gas fireplace. Also on the first floor you will find the Owner's Suite with Trey Ceiling and Master Bath. A laundry room and half bath as well. Second Floor has Three Bedrooms and 2 full baths and family room over the garage. The partially finished basement has a bar and plenty of space for company to enjoy playing games, watching TV or just relaxing, Bedroom, Bath, with walkout door. Extra amenities and extra special touches make this home. Extra Large Coat Closet for extra storage. Kitchen has everything you will need, Commercial Grade Stainless Steel Appliances, Granite Countertops, Breakfast Bar, Island with Built-in Spice Racks Custom Cabinets with built in China Cabinet. Pantry with lots of Shelving. Second entry off the front porch takes you to the family room, with two story ceilings and lots of windows to bring in the natural light. French Doors take you to the rear Patio. Owner's Suite also includes French Doors to rear patio, Hardwood Floors with custom inlay to match the trey ceiling. His and Her custom walk in closets with organizers. Master Bath with his and hers vanities, Jacuzzi Tub, Over sized Tiled Shower with 6 Jets and heads. Pocket Toilet and Linen Closet. All closets have automatic lighting. Rennai Tankless Water Heater, 3 Train HVAC units with Hepa Filtration and Enviracare Elite Honewell Sensors to alert you when filter needs changing. Irragation System on separate line from well.